Neverending fun is guaranteed with our Balance Games! The best balance free games are waiting for you at Miniplay, so 3... 2... 1... play! Join these normal guys who are willing to accept a life-or-death challenge! Try to reach the goal as you keep your balance on any of the vehicles. Dodge bombs, deadly traps, spikes and all kinds of dangers in thrilling 3D stages! 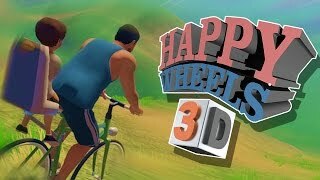 Discover this 3D version of the renowned 'Happy Wheels'! It was originally developed by HakJak, but the concept remains the same -- try to reach the goal losing as few limbs as possible. You can find the original game here, and here's a Steam link that will be available from September 15th. 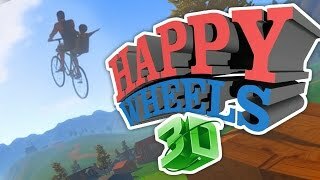 'Happy Wheels 3D', also known as 'Guts and Glory', is famous because each death is unique -- the characters can never lose a limb the same way twice! Ride your bike and complete all 22 stages! Jump, dodge dangerous obstacles, do the most amazing tricks and reach the goal. Have fun! Join the most amazing bike races around wonderful stages set to challenge you like never before! Put on your helmet, grab the handle and do all sorts of crazy tricks as you dodge dozens of obstacles! Will you clear every stage? Complete every level on your trial motorcycle. Prove your balance is unbelievable! Enjoy this 4th installment! Ride a motocross bike and clear 22 challenging stages in this winter setting! Jump, dodge obstacles, do all sorts of tricks and reach the goal! Try to defeat your rivals by pushing them! The one that makes their rival's head hit the ground first wins. Get ready to fight! Drive an orange bus around town while trying to getting rid of its passengers. Go up the most inclined slopes, crash into the walls... Do whatever it takes to make everybody fall! Do some tricks with a soccer ball! It sounds easy, but controlling a ragdoll while trying to hit the ball with just its feet is really tricky! Put your skills and balance to test while trying to help this soccer noob. Good luck! Get ready for a crazy race in your monster truck around a track packed with obstacles. How far will you get in just one minute? Enjoy this new version! Control a very drunk stickman! 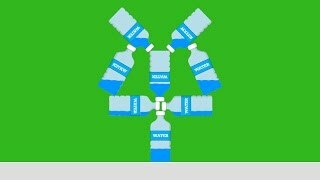 Get all the bottles and try not to fall if you want to survive. For how long can you keep your balance? Do you like coffee? 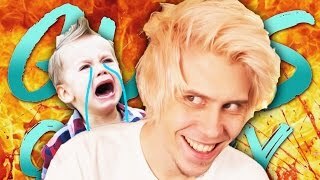 Enjoy this crazy game! Try to lift the mug from the table without spilling the coffee, and then pour it inside the guy's mouth. Are you ready for this challenge? Control a tiny yellow smiley - try to keep it on track and reach the finish line as fast as possible. Collect all the power-ups and have fun! Enjoy yourself with yet another Sega classic available on your computer. You will have to take a monkey trapped inside a glass ball around stages full of platforms and obstacles. Collect bananas and reach the goal before running out of time! Move this ball around circular screens full of obstacles. Spot the see-through sphere in each stage! Are you ready for the ski jumps? Compete against the biggest pro jumpers in the world. Control the speed and inclination of your descent and try to land safely! Have fun! Drive your 3D car carrier trailer! Take the cars from the garages to the exhibiltions tackling all kinds of obstacles. Good luck! Ride this powerful snow bike and put your skills to test! Jump, do all kinds of tricks, dodge obstacles and clear every level without looking back. Are you good enough to complete this hard challenge? Enjoy this online version of the renowned Android game called Circle. Discover this unique skill game! Move a ring through a maze as carefully as possible, without touching the walls. How far will you get before messing up? Ride the bike of your choice, select a track and manage to reach the goal jumping on all kinds of slopes, platforms and dangerous obstacles. Feel the emotion and enjoy the risks! Choose one of the Ninja Turtles and ride your skate while obliterating your enemies and tackling obstacles! Are you ready for some action? Keep your balance and get rid of the bad guys! Get rid of every negative thought and show the world what your sensei taught you. Keep your balance on a bamboo stick and jump in order to dodge all kinds of attacks. Try to collect as much sushi as you can to get your energy back! Control a very drunk Stickman! Collect all the bottles and try not to fall, because it could even die. Can you keep your balance and survive long enough? Ride your dirtbike and complete the stages in as little time as possible. Enjoy the amazing tracks and put your balance to test! Enjoy this unique game in which you'll have to drive along a jelly track! Dodge the difficult obstacles until you reach the goal. Use the arrows to drive and balance this squishy truck! 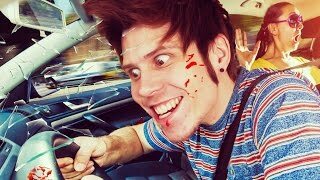 Are you a good driver? Well, here's your chance to prove your skills on some difficult tracks. Try to tackle all the obstacles, collect all the stars and defeat your rivals. Good luck! Having appeared under the pressure of huge, angry dinosaurs, small eggs don't know where to run nor where to take cover. Deliver special beams on support so that when the dinosaur starts walking, no rocks fall on the eggs. Will you be able to make this guy ride a unicycle? How far will you get? Put your balance to test and enjoy this unique game! You must build a structure that can keep its balance with these Halloween pieces. How many levels can you beat? The kittens in Catland need your help – they want to collect all the stars in each level. Place cats, build all kinds of structures and reach for the stars! Little beavers are separated from their family. Remove wooden blocks to help the return of the beavers to the safety nest, and avoid evil foxes. 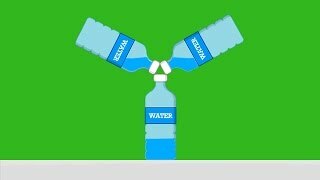 24 levels of fun physics puzzles. Help the army engineering team build a tower up to the goal! Use several items to reach the needed height and aim for the stars! The Simpsons are working in Krusty's circus. Bart has borrowed his car, and he needs your help to control it. Prevent him from overturning Krusty's vehicle! This rider mouse has to tackle all the obstacles he finds in his way. Try to keep his balance so he can reach the final stage! Keep your balance on this bike and ride at max speed before the ground cracks open under your wheels! Collect the money bags and the bonuses you find. Go through ancient Aztec ruins on your trial bike. Prove your good balance on two wheels performing tricks! Drag the letters while keeping your balance and put them on the right place. Gather as many stars as you can. New levels available! Help this character reach the goal swinging like Tarzan. Be careful and avoid being hit or you will lose some limbs! Get the highest score. There's also an endless mode in which a monster chases you. The bottom of the ocean is full of adventures waiting for Spongebob. Ride your motocross bike, look for hamburgers and keep your balance to avoid falling. Help this sweet-tooth beaver get all the candy in each level while he keeps his balance on a crossbeam. Place Tetris pieces to create a balanced tower where you can place the antenna! Help Danny the beaver fight his aquaphobia! Jump on the logs, cross the river and tackle the obstacles prove your balance is the best. New levels available! You all know balance games Perfect Balance and Perfect Balance 2 this game is completely opposite to them! You have to make all the pieces fall from the base. Launch this hedgehog with your cannon as far as you can so it can leave the atmosphere. Make the green balloons burst to earn money and upgrade his skills. Click on the balloons and swing to keep on climbing. New levels available! You need to place the pieces and gems shown at the top of the screen in a balanced way. Get the highest score and enter MiniPlay.com rankings. New levels available! You all know the keep-the-balance games Perfect Balance and Perfect Balance 2, but this game works the other way around you have to make all the pieces fall! Place these Super Mario pieces and keep their balance. Beat the 18 stages in as little time as possible. Make Golbez's dream come true! Build a structure and reach the Moon without losing balance. Beat each stage in as little time as possible. Help this guy reach the goal by swinging like Tarzan. Be careful not to hurt yourself you could lose some limbs! Get the highest score. Are you patient enough? Place the pieces and gems given and keep them balanced. Can you beat every level? Place the pieces balanced on a beam to help the worker down. Move them with your mouse and use the space bar to rotate them. You all know Perfect Balance and Perfect Balance 2 already, but this game is the completely opposite of them make all the pieces fall! Help this ninja escape from the lava with a jetpack and a hook that will help him swing. Place the pieces and gems shown at the top of the screen. Can you keep them balanced and beat every level? Beat all twenty levels trying to build a balanced cat tower. Drive the most powerful truck in the world combine its power, precision and balance. Be patient it may take a while for the game to load. Pile up Tetris pieces and build a tall and balanced tower. Drag the pieces and place them on the platform. Take the 8 ball to the goal use your mouse and don't let it fall from the platforms. Don't drop any of the bricks from your shopping cart! Move your mouse and try to keep your balance while you rush down the slope. Place the pieces you're given and keep them balanced. Can you beat every level? Awesome new levels have been added to this version. Arrange all the pieces and keep them balanced! There are forty different stages and you can edit and share your own levels. This is a really simple and addictive game. Place the pieces you're given and keep them balanced can you clear every level? Beat these twelve levels by placing the tiles on a pile and keeping them balanced. This game is simple but very addictive. Help your friend get out of the labyrinths and reach the red spot. Use your mouse to control him. You have the chance to create a reef where a balanced underwater ecosystem can survive. Be careful with the fishing nets and human waste! Are you ready for the silliest internet challenge? Launch the bottle and try to make it flip in the air so that it lands on its base. Aim for a high score! 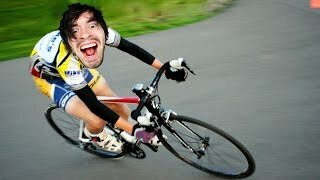 Enjoy the most thrilling bycicle races on tracks created by other users. Collect stars and put your riding skills to test -- try to keep your balance along every stage! Arrange the pieces in each stage so that they can keep their balance as a structure. Put your skills to test and clear every level! Are you ready for this? Enjoy this fantastic physics-based boxing game for up to 2 players! It takes place in Rio de Janeiro, during the next Olympics! The rules are simple - try to hit your rival as many times as you can. Will you become a champion? In this game you'll have to keep your balance at 1000 feet high. Choose a player and get ready to dodge all kinds of falling objects. Create balls with your mouse and place them on the platform to keep the scale balanced. We are looking for the best driver in the world! Control a huge monster truck and collect the coins you find on your way while trying to keep your balance. Are you ready for this challenge? Have fun! Rush down this ramp and, when you're on the green area, left click to fly! Do a perfect jump. Have you ever carried huge logs in a truck? This new business needs a good driver to deliver their products, so be ready. Try to keep your balance and reach your destination in time without losing the timber in your way! Control this rope-walking zebra and find the animals hiding in the circus. Build high towers with all kind of monsters' heads. Balance the figures avoiding falling into the void and reach the top of the screen. Keep the balance and finish all levels successfully! You got a job as a cargo driver this summer! Put your skills to test -- deliver the goods without dropping anything. You'll start with a very basic truck, but you can upgrade it as you make more and more money! Climb the stairs without dropping your tray your popcorn, hot dog and two sodas are on it! Help Petunia from Happy Tree Friends keep the rubber duck balanced. Control this Mario Bros character on stilts! Keep his balance and complete every level. 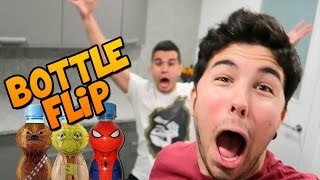 Enjoy this strange but fun game! Put your skills to test and manage to hit a meatball on a tiny table using an enormous digger. Good luck! Get rid of the Tetris blocks and manage to take the hexagon to the bottom of the game screen! Stay alert and try to keep your balance in order to get a high score. Good luck! Eggs & Cars: Don't Drop the Egg! Will you manage to take this fragile egg to the goal? Pay attention to your moves, get the coins you find in your way and complete the race. How far will you get? Good boys deserve treats, and this puppy is no exception! Help your pet keep a tower of cookies balanced on its nose without dropping any of them! How far can you go on a front-wheel stand? Stop on the orange arrow and use the arrow keys to keep your balance on the motorcycle. These rainbow monsters are aiming for the stars! Make their dreams come true -- choose the right timing, jump on the platforms and keep your balance to the top! You'll control this girl's father, who must take care of her. Push the kids who get too close to her. Keep your balance on the tightrope on an unicycle. Jump to collect the blue and green balls, but dodge the orange ones. Enter Flint Lockwood's lab, where the mad scientist has created a gadget that can clone his pet, Steve. Click in the right moment in order to collect as many Steves as you can! The higher your Steve tower, the higher your score! Ricochet around the craziest platforms in GoPogo! Plan your jumps carefully in order to have a safe landing. Collect coins, purchase upgrades and keep going for as long as you can! Have fun! The soccer match is about to start! Keep your balance and rush down the stands with your soda. Move your mouse so that the clown can keep his balance on the tightrope. Use your crossbow to climb this mountain swing and jump on the platforms. This game will test your patience! Try to keep rolling on the log for as long as you can - collect coins to unlock upgrades and new characters! 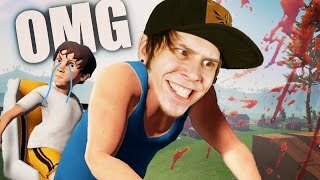 Get ready to enjoy this crazy ping pong game! Pay attention to your rivals and jump around the game screen in order to distract your enemies and score. If you lose, just try again! How about building a burger tower? Or a teddy bear one? Drop items with precision to pile them up into a world's tallest tower! Help Clarence do some juggling on his shirt with all kinds of balls! Use your mouse to move him around and manage to score. Don't get hit by any of the objects and make sure Clarence stays conscious for as long as possible. Good luck! Moving Up is a fun and challenging game. Move up the ball without it falling into the holes. Enjoy many handcrafted levels or play the endless mode and see how far you can get. Ride your trial motorcycle and finish the tracks in as little time as possible. Keep your balance! If you're a big fan of platform games and you're looking for a new challenge, we have good news! Jump around several worlds full of 3D moving platforms - put your skills to test and try not to fall! Good luck! Keep the ball in the air without touching the ground! How many times can you hit it? Good luck! This very important cargo needs to be taken to some clients as soon as possible, but there's a truck driver missing... Do you have what it takes? Steer a huge truck along the most difficult tracks -- try to keep the balance and not to lose a single box! Good luck! Increase your character's swag by placing all kinds of wigs and accessories on their head! Put your flawless style to test and get ready for a wonderful photobook! This is what happens when you put a flamingo on a urby board. How far will you go?! This tiny orange alien wants to go back home! He can find a way out of our Earth and you're the only one who's willing to help. Use the platforms to help him bounce his way to the spaceship. Pay attention to the traps in order to protect his fragile body! Good luck! Drive an army truck carefully! Dodge all sorts of obstacles, reduce your speed in order to tackle the bumps on the road and try to keep your cargo safe. Good luck! Will you manage to deliver these goods in time without dropping anything on the way? 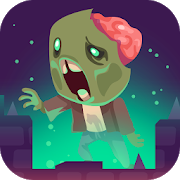 Control this zombie truck along a road full of obstacles - be as careful as you can! Good luck! Choose the rollerblades you prefer and start practicing. There are four different mini games! This is a new way of playing classic Space Invaders. Keep your spaceship balanced, dodge your enemies and survive for as long as you can. Enter the ranking with your higher score! Are you ready for the easiest Internet challenge? Throw the bottle up and make it flip mid-air so that it lands upright, as simple as that! Can you do it? Get rid of these rainbow blocks in order to push the yellow hexagon to the bottom. Aim for a high score and don't drop it! Drive an egg as far as you can, but don't let it break! Steer carefully and collect as many coins as you can. Head to the junkyard and make a mess! Pile up old cars and crush them -- purchase new boots and collect power-ups for the ultimate rampage! Learn to control this boat and collect the flags in each level. Beware of the hungry sharks! This panda must collect the cookies falling on a platform and drop them inside the device. The more you drop at the same time, the higher your score will be. For how long can you keep your balance doing a handstand? Use the left and right arrow keys to avoid falling. Enjoy this samurai fight! Keep your balance on a rock on the river and throw your enemy into the water. Discover this casual 3D game where you have to take a ball all the way to the flag along corridors packed with obstacles. Tilt the platforms to keep the ball rolling and don't let it fall!